Fits under any standard desktop or work surface. Saves valuable floor and desk space. Two angled letter-size filing shelves. Contact one of our friendly product experts for assistance with the many available customization options. The Datum FileCart™ 2-Shelf MiniCart saves valuable floor and desk space because it fits under most standard sized desks and work surfaces! 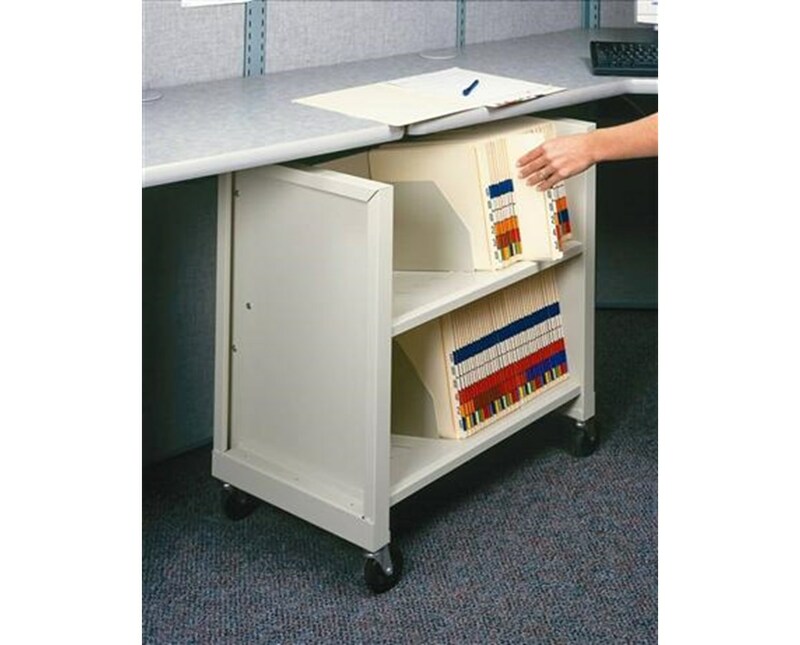 Offering a generous 46 lineal filing inches (LFI), this Datum MiniCart includes two letter-size filing shelves. 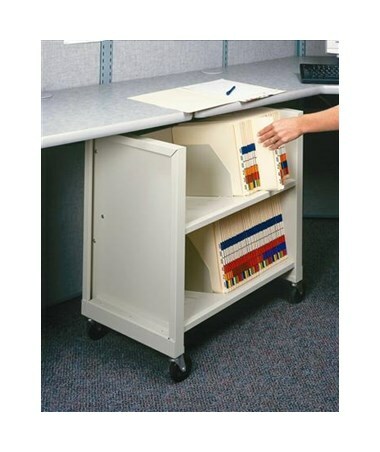 Four adjustable dividers help keep files and other materials neat and organized. When you're finished, just store the cart under any standard sized desktop! This cart is designed for quiet operation - the plate-mounted, 3" hard-rubber swivel casters (two free/two locking) eliminate that annoying rattle, and the solid construction eliminates the squeakiness often found in other carts - meaning no noise and distraction for your office staff. Angled shelves secure files and prevent them from falling. Durable construction from heavy-duty steel means a lifetime of use. Like all Datum products, it's backed by a Lifetime Warranty. Choose from 19 standard colors to match any office decor. Contact one of our friendly, knowledgeable customer service representatives about additional customization options and for assistance with choosing the perfect file carts for your office! Saves valuable floor and desk space by fitting under any standard desktop or worksurface. Datum FileCart™ 2 Shelf MiniCart.